I ate Fox and Friends. 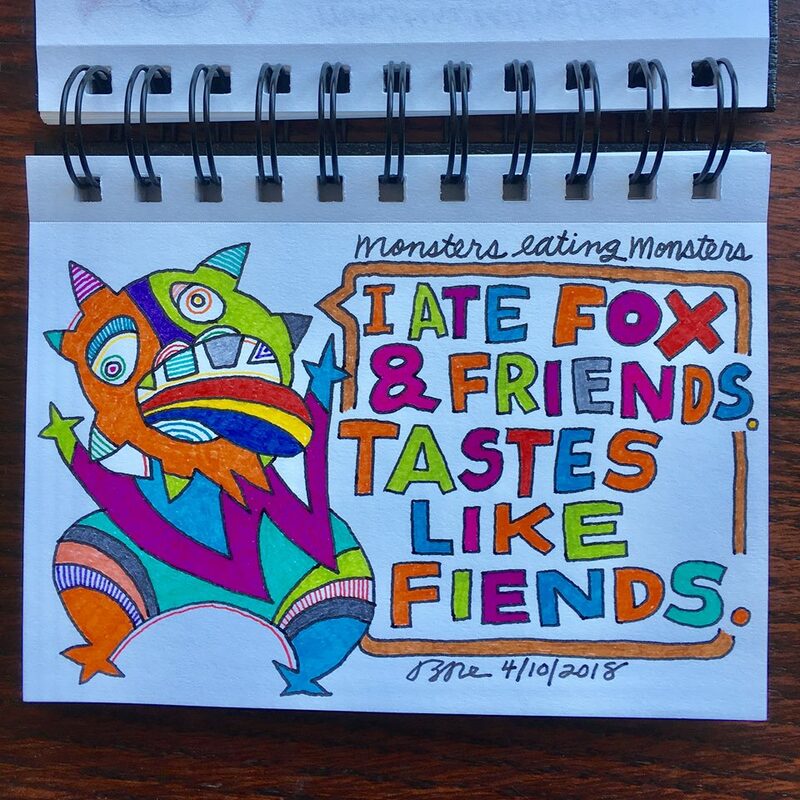 Tastes like fiends. "... “First of all some of the news on Fox News is not really news at all. There’s no attempt at balance and a lot of what passes for news is actually right wing commentary. It’s essentially an extension of Trump’s Republican party and Trump’s ideas. So the people who watch it often I think they’re getting this distorted view of reality.” ..."
"...“The show manages to serve as a court sycophant, whispering in the ear of the king, criticizing his perceived enemies and fluffing his feathers.” ..."